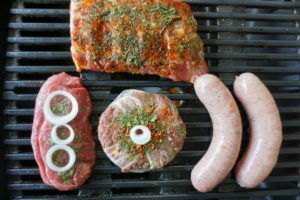 A mouth watering selection of top grade meats, ideal for a summer barbecue or a garden party. This pack is designed to feed 4-6 people. Swiss Deli Pork Bratwurst is a traditional German style fresh sausage made from the finest New Zealand pork meat. It is seasoned with aromatic caraway, garlic, marjoram and put into natural casings. This delicious sausage is very versatile and can be fried, grilled, stewed, baked or used in many recipes. Swiss Deli meat quality is unsurpassed. The company demands high standards from all its suppliers; thus, we only use the highest grade New Zealand beef and only from the accredited suppliers. Pork spare ribs bathed in delicious Swiss marinade with distinctive garlic aroma with a pinch of sweetness that turns simple meat on the bone into gourmet treat. Perfect for a BBQ party. These soft beef mince patties wrapped in streaky bacon and seasoned with aromatic herbs and spices are among the most popular products at the Swiss Deli shop. A perfect addition to a BBQ party. 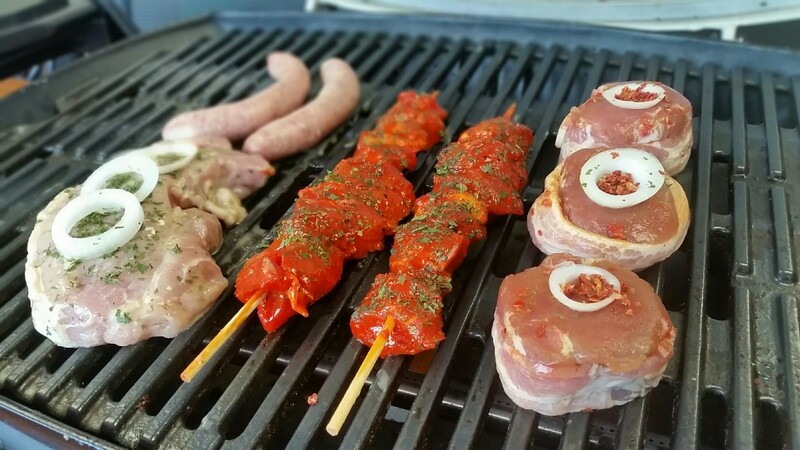 BBQ or Grill - Preheat to a medium heat and cook until brown (about 12 minutes), turning often. Pan - Preheat to a medium heat with little oil, then cook until brown (12 minutes), turning often. Swiss Deli fresh and marinated meats must be fully cooked prior to consumption. For more tips on how to cook with Swiss Deli meats see out recipes section.